At the law office of Jeffrey Buehner, PLLC, in Farmington Hills, Michigan, we are here to help you protect your rights and liberties while fighting to achieve the favorable outcomes you seek for the serious and pressing criminal charges you face. 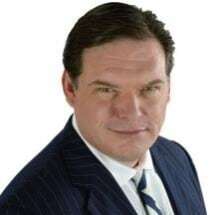 Serving clients throughout the greater Detroit metro region, Oakland County and the surrounding areas, our law firm's founder, attorney Jeffrey Buehner, has more than 22 years of experience in criminal law. Our practice focuses on defending individuals being investigated for, or who have been charged with, a criminal offense. We defend individuals facing any type of criminal charge including those white collar crimes such as embezzlement and fraud, and all types of felony and misdemeanor cases in both state and federal courts. Our dedication to our clients throughout our history has allowed us to become the trusted source for quality, affordable and effective legal counsel. A former prosecutor, Mr. Buehner has invaluable insight into our state's criminal justice system from both sides, and he has developed strong, professional relationships with many of the judges, prosecutors and attorneys in our area. Through these relationships, we can better negotiate favorable terms regarding your case, and we promise to do whatever we can to help you obtain the best possible results for your matter efficiently and effectively. Recognized for our success, we have been named one among the Top 100 Lawyers from both The National Trial Lawyers and America's Top 100 Criminal Defense Attorneys and one of the Top 10 Criminal Defense Attorneys in Michigan from the National Academy of Criminal Defense Attorneys amongst many other awards and honors as well as many positive reviews and referrals from our satisfied clients. Do not trust your future to just anyone. To begin the process of receiving the aggressive defense counsel you need during this difficult and uncertain time in your life, you can schedule a free initial consultation by contacting Jeffrey Buehner, PLLC, either by phone or through our law firm's website to set up an appointment.